No matter how dedicated you are to playing online poker, it’s always fun to do a little gambling on the side. 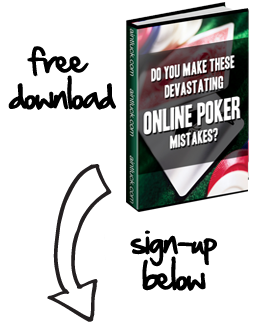 In fact, some poker sites even let you play online casino games at the same time you’re playing poker. Not only is this handy, but it also ensures that you have something to do while waiting on other poker players to act. Keeping this thought in mind, here are some poker rooms that also offer great online casinos too. Party Poker is the best poker room that offers an online casino. For one thing, they consistently run fantastic promotions including the Monthly Million and the Million Dollar Hand, where one hand could be your ticket to $1 million! If you sign up for Party Poker, you’ll also have the chance to enjoy some of their wonderful casino games such as blackjack, roulette, video poker, slots, baccarat, Let It Ride, three card poker and Casino War. Carbon is another room that’s better know for its poker action than online casino games. The reason being is that most of their huge promotions and excellent VIP bonuses are dedicated to poker players. But that’s not to say that Carbon Poker doesn’t provide a nice selection of casino games too because they have blackjack, roulette, Caribbean Stud, video poker and backgammon. Bodog is a site that initially developed its reputation through sports betting and gambling games. However, they’ve gradually created one of the top poker rooms in the world as well since they offer the Bodog Poker Open, a $100,000 Guarantee on Sunday, and daily freerolls. In addition to all of this, they also have the aforementioned sports betting, blackjack, craps, Pai Gow Poker, Let It Ride, Three Card Rummy and European roulette. As the name implies SportsBook is well known for its sports betting; they draw a lot of blackjack, roulette, craps, video poker and slots players too. But this is also a great place to poker because they put a lot of care into designing promotions and rewards programs for poker players. At SportsBook Poker, you can enjoy the monthly $250,000 Guarantee, the Weekly $100,000 Guarantee, tournament leaderboards and a generous VIP program.